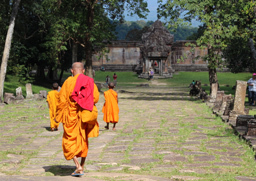 Cambodia-The Hidden Charm, a trip of endless inspirations! 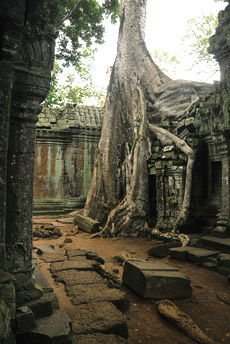 No matter where we travel in Cambodia, the ruins of the past present. From Phnom Penh - the vibrant bustling capital with various historic sites and monuments which remind of both the heroic time and the darkness of the country history to Siem Reap with the amazing Angkor complex, you will be impressed. 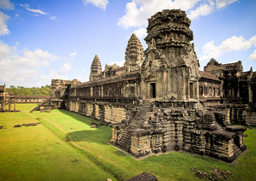 Visiting Angkor Wat, not only will you admire the beautiful art shown in its architecture but also the religious and historic values it presents to you. If Angkor Wat hasn't satisfied your discovering desire at all, then Angkor Thom - the last capital city of the Khmer and Banteay Srei - a red sandstone temple dedicated to Shiva will continue its mission. With various elaborate decorative wall carvings, Banteay Srei is considered the precious gem of Khmer art. 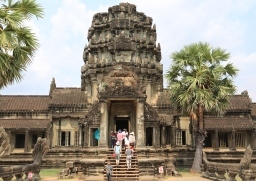 The Petit Circuit taking in major sites to the east of Angkor Thom and the Grand Circuit which takes in majors sites to the north and further out east will place a nice end to your discovery with plenty of attractions like the Ta Prohm, Banteay Kdei temple complex, Preah Khan and so forth. A trip of endless inspirations! Upon arrive in Phnom Penh, you will be welcomed by our guide and transfer to the hotel. Your room is availble after 14:00 p.m. Free time to explore charming city. Overnight at the hotel in Phnom Penh. Breakfast at hotel. Today you will visit the Victory Monument, and the National Museum, also called Musee des Beaux-Arts. A French archaeologist and painter, Georges Groslier, designed it in Khmer style in 1917. 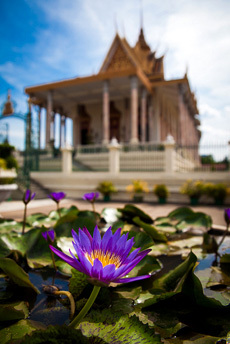 The museum contains a collection of Khmer art - notably sculptures - throughout the ages. 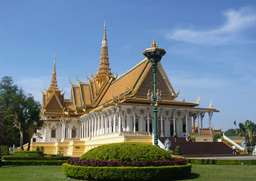 Visit the Royal Palace, built by King Norodom in 1866 on the site of the old town, and the Silver Pagoda. Located within the grounds of the Royal Palace, the Silver Pagoda is so named because of its floor, which is made up of 5000 silver tiles. The treasures found inside include a solid gold Buddha encrusted and weighing 90kilograms and a small 17th century emerald and baccarat crystal Buddha. Then drive to visit TuolSleng Genocide Museum(S21 prison). This prison was a high school, and used as a prison by Pol Pot's security forces and became the largest center for detention and torture during the rule of the Khmer Rouge. 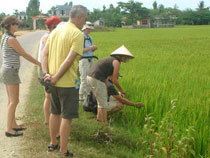 Then visit to Killing Fields " Choeung Ek"1 5km southwest of Phnom Penh. This one is the site of brutal executions of more than 17,000 individuals, most of whom first suffered through interrogations, torture and deprivation in Toul Sleng Prison during Pol Pot regime (from 1975–1979). The last site is Russian Markets where you can shop for souvenirs, clothes, jewelry, silver products. Transfer back to hotel. Overnight at the hotel in Phnom Penh. 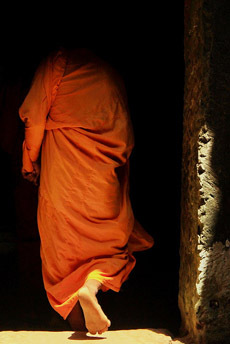 In the afternoon, visit Rolous group, which is famous for his temple built with the most rudimentary and primitive techniques. In the ninth century sandstone was not used and is the imposing temple Preah Ko that little Lolei have towers built entirely in brick. The main attraction of Rolous however, is made up of the mammoth Bakong , a "mountain temple" whose steep pyramid with five levels stands at the center of a wide canal that surrounds it. On the way back to Siem Reap we can have an excursion on cruise off the coast of Tonle Sap to visit a very nice floating village Kompong Pluck (16km from Siem Reap). During the cruise, you have the option of changing the hand boat to visit the mangroves (30 minutes), which is feasible only from August to December as the water level is high. Return to Siem Reap. Overnight at the hotel. Breakfast at hotel, beginning your temple exploration today at Angkor Thom City by west gate. From the enigmatic faces of Bayon temple to the intricate bas reliefs of the Terrace of the Elephants, Angkor Thom is filled with fabulous monuments. After lunch at the local restaurant, we drive to Banteay Srei (38km from city), it is also one of the most beautiful. Built in 967 AD by Jayavarman V's guru, it showcases the most exquisite, deep and complex carvings in all Khmer architecture. Ovenight at the hotel in Siem Reap.